Double click the Add New to add a new disbursements as seen below. Select the name of the individual, PAC or group from the drop down list. If you have not yet created a name record, selecting Add New Name button will prompt a new name information window to allow you to create the name record. 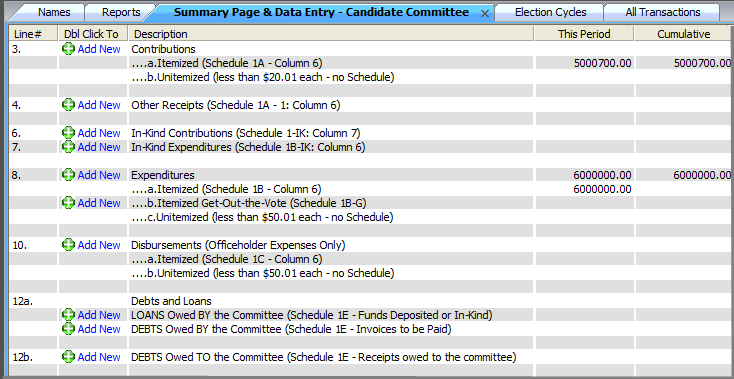 Add the date, amount and description of the disbursement. 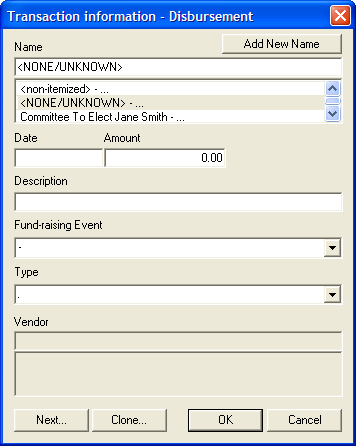 If the expenditure was spent for a fund raising event held by your committee, click the Fund Raising Event drop down to select the appropriate event.